It was time for a facelift, and new SEO plan. Fibercare gets both. 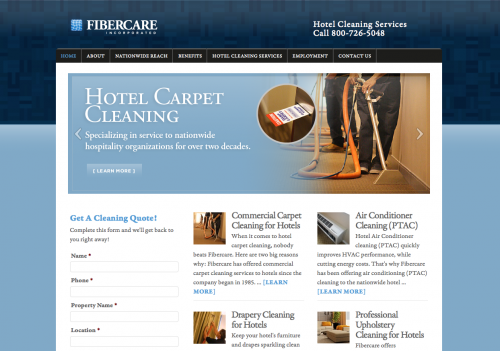 Several years ago, we built a website for a local company named Fibercare who specializes in hotel cleaning services for national hotel chains like Marriot, Sheraton and the like. This past Summer, I rebuilt the site in wordpress to refresh the brand, and create a more up-to-date CMS using wordpress. This is a pretty straight forward website design, incorporating a form on the home page for easy lead generation, and links from the home page widgets wot each of the site’s main pages. 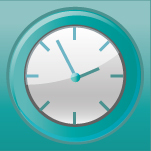 But at it’s core, there lies a really solid Search Engine Optimization plan that accounts for roughly a dozen solid leads a month based on their primary keywords…hotel carpet cleaning, hotel cleaning services, etc. I also shot and edited a promotional video that plays on the front page that tells their story of their cleaning capabilities. Finercare is a great client, super easy to work with. A pleasure doing business with them.